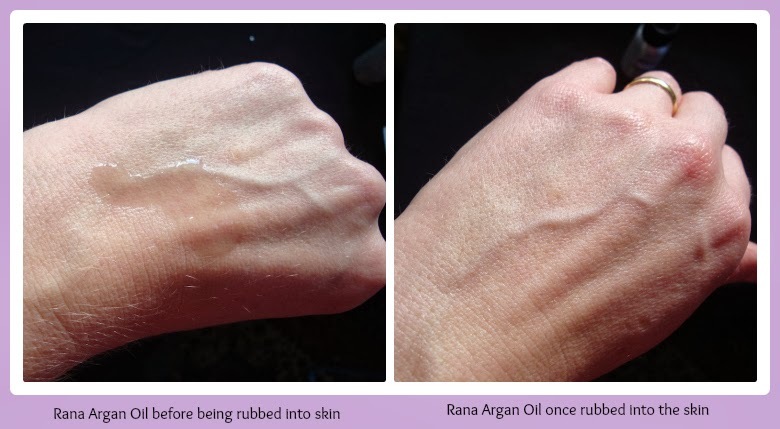 Rana Argan Oil – Great for Skin, Great for Hair, Great for You ! This is one of my first long overdue posts. However, its arrival on the blog is actually quite well timed because it was Rana Argan Oil’s 1st anniversary a couple of days ago and this post gives me the chance to share with you their great 100% Argan Oil. I was approached by Neil and Eylem the brains behind Rana Argan Oil back in July of last year and they kindly sent me a 30 ml bottle of their 100% pure argan oil to try. Rana is Arabic meaning “Eye Catching” or “Beautiful” and Neil & Eylem felt that this name lent itself well to what they wanted their brand and its beliefs to represent to their customers. Their logo certainly stands out and is a very clear Brand identity. I'm quite new to Argan oil. I've seen it listed a lot in many products and it is hailed as a fabulous healing oil with amazing beauty benefits. So what’s all the fuss about? Argan Oil is a plant based oil produced from the kernels inside the fruits of the Argan Spinosa tree which grows in Morocco. The pit of the fruit is dried and cracked, then the kernels are removed from inside. These are then ground into a thick paste and it is this paste which is squeezed to produce the Argan Oil. Some Argan Oil is used for culinary purposes and some is used for cosmetics. If the Argan Oil is used for the purpose of cosmetics it is made from the raw, unroasted pits of the fruit. Rana Argan Oil buy their oils directly from a trusted supplier in Morocco who have been awarded the EcoCert seal of approval. They add nothing to the oil so it arrives to you the customer as 100% pure Argan Oil. So, what is Argan Oil or as it’s sometimes referred to, the “Miracle Oil”, good for? It is great for moisturising the skin and keeping it healthy, plump and smooth, it helps keep your hair in tip top condition, repairing damaged, dry hair, it helps nails become stronger and is great for your cuticles too, it helps to relieve the appearance of acne, reduces stretch marks and scars, helps minimise the signs of ageing, can be used pre or post shaving; the list goes on. Rana list a few more uses on their website here. Argan Oil should be a light golden colour, which is the colour it is when it comes out of the Argan fruit. If it is lighter or colourless it is unlikely to be pure. Pure Argan Oil should only ever have Argan Oil or Argan Spinosa Kernal Oil on the ingredients list. It there is anything else in the list, then it has more than likely had chemicals added to it. Argan Oil is a rare and precious commodity. Good quality Argan oil should not cost less than about £20 for a 100ml bottle due to the labour intensive way the oil is extracted from the fruit. Argan Oil should not be stored in clear, plastic bottles. Ideal bottles are dark brown glass or aluminium bottles as they protect the oil from the light which would affect the oil. Argan Oil should have a slightly nutty aroma. It shouldn't smell perfumed in any way. Argan Oil should absorb into the skin relatively quickly once applied to the skin and leave no oily residue. 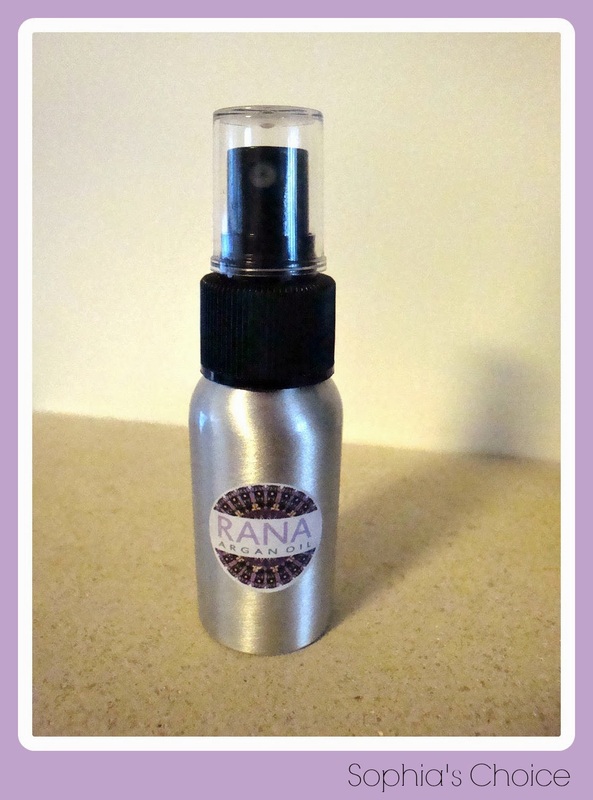 The bottle of Rana Argan Oil I was sent ticked all the above boxes. I wasn't sure at first if I like the nutty aroma or not, but it grows on you. If you remember reading my post on 100% Organics then you will know that I struggled with the aroma of the Tamanu Oil used in their products. I think I’ve just got to get used to the pure aromas of some of Mother Nature’s amazing oils ! I enjoyed using Rana’s Argan Oil and I loved using it on my legs which can sometimes suffer with ingrown hairs and spots from the waxing process. I tried using it on my hair but as I have such a mop of hair I honestly felt that I’d have had to use quite a bit for it to have had any real affect so I gave up on that one. I loved using it on my hands though as it absorbs well into the skin and doesn't leave a greasy residue. I found it great as a hand moisturiser. The 30ml size is a good handbag size making this a great sized bottle to take around with you during the day. Rana also do a 100ml size bottle too. In addition to their 100% pure Argan oil they also do a toner and exfoliating mask. They are also offering 4 Anniversary bundles in celebration of their first year of trading. They vary in price from about £15.00 upwards. If you wish to find out more about Rana Argan Oil then they have their website, you can find them on Twitter and they’re on Facebook too. Have any of you used Rana Argan Oil or Argan Oil in general? I’d love to hear your thoughts on this amazing “Miracle” oil. Disclaimer: I was kindly sent a 30ml bottle of Rana Argan Oil to review. All thoughts and opinions are my own.